SALT LAKE CITY -- For all the fine work by the front office in filling out the roster, the reality for the Utah Jazz remains that the franchise goes as Gordon Hayward and Rudy Gobert go. That, by the way, isn’t a bad thing at all. It’s an explanation of why the Jazz, who haven’t won a playoff game since 2010 or been to the postseason since 2012, are on a 50-plus-win pace and fighting for home-court advantage in the first round of the playoffs. There’s a good reason general manager Dennis Lindsey eagerly rewarded Gobert, 24, with a four-year, $102 million contract extension this fall. Just as it’s an easy call for the Jazz to do everything in their power this summer to get Hayward, 26, to accept a maximum contract to stay in Utah. Hayward and Gobert are homegrown franchise cornerstones. Hayward, whose scoring average (21.8 points per game) has increased in each of his seven seasons, is headed to his first All-Star Game. Gobert had a heck of a case to get an invitation to New Orleans, averaging career highs in points (13.1), rebounds (12.6) and blocks (a league-leading 2.5). The Jazz need their co-stars to dominate on a consistent basis like they did in Wednesday’s 104-88 win over the Milwaukee Bucks. If they do, it would position Utah to make a run this spring, not just a playoff appearance. Hayward put up a 27-point, four-rebound, five-assist, three-steal line while spearheading the defensive effort on fellow All-Star Giannis Antetokounmpo (nine points on 2-of-10 shooting). Gobert scored 26 points, grabbed 15 rebounds and provided his usual rim protection and intimidation on the defensive end. The onus is on shoulders of the Jazz’s franchise players now as much as ever. Shooting guard Rodney Hood hyperextended his right knee in the second quarter and didn’t return. After the game, there was no definitive word on his recovery timetable, but it stands to reason that Hood will miss some time, considering a hyperextension and bone bruise suffered in mid-January caused him to miss five games. He’ll likely need significantly more time to regain his rhythm. Point guard George Hill still is searching for the groove he had before a sprained left big toe sidelined him for a month. 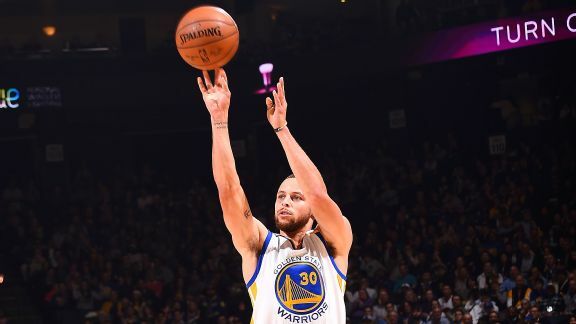 He hasn’t been nearly as efficient since his return, averaging 15.7 points on 40.6 percent shooting in 13 games, down significantly from the spectacular, career-best numbers he’d been putting up before his long, rust-inducing layoff. Stephen Curry was threatening to break his own single-game 3-point mark, but sat out the fourth quarter of a rout. Power forward Derrick Favors hasn’t been right after suffering a bone bruise in his knee during the preseason. The Jazz hope he can regain his explosiveness at some point and are taking a patient approach, which is why Favors rested the past two games. Lindsey built a deep roster loaded with quality role players, such as Joe Johnson, Boris Diaw and Joe Ingles. The Jazz need at least one or two of those guys to shine on a nightly basis, with Johnson (14 points, six rebounds, five assists) coming through against the Bucks. But the burden falls on the Utah players making the big bucks. Perhaps more accurately, Hayward must maintain the aggressiveness he displayed Wednesday, when he was 8-of-13 from the floor and 8-of-10 from the line in 32 minutes. The Jazz are an elite team (23-7) when he scores at least 20 points. They aren’t very good (8-12) when he doesn’t. Gobert got paid for his defense, first and foremost, but he has emerged as an essential offensive weapon in his fourth NBA season. The threat of him rolling to the rim frequently creates open 3-pointers for the Jazz (11-of-29 from long range against the Bucks), but Gobert’s scoring also has a direct effect on Utah’s success. The Jazz are 14-5 when he puts up at least 15 points. No, the Jazz don’t necessarily need their best players to do more. They just need them to maintain the production from the best individual seasons of their careers as the franchise prepares to end a playoff drought and fosters sensible ambition for a bright future.